920 Mainsail Road Salisbury, NC. | MLS# 2134195 | Provident Living (704) 609-5362 - Jean Griswold - Your Trusted Real Estate Advisor - Call Jean for all of your real estate needs. 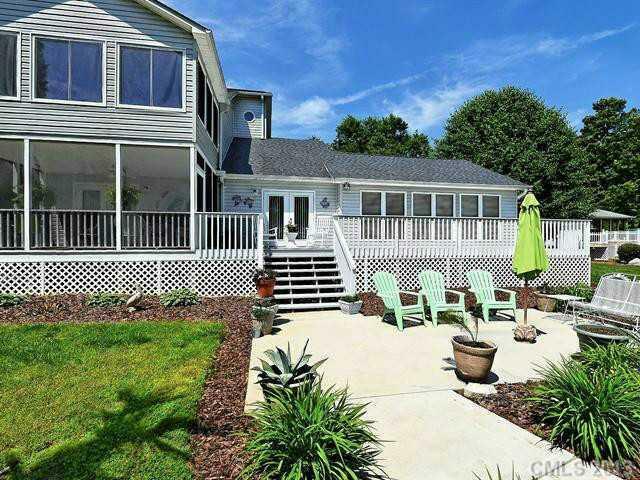 Peaceful lake front living less than 7 miles to interstate access & easy drive to Greensboro or Charlotte! Soaring ceiling in two-story great room, adjoining deck & patio lakeside - perfect for entertaining family & friends. Sunroom off master suite w/soothing lake view for personal relaxation. New roof in 2012; 3 heat pumps. Permitted pier, floating dock & onsite boat house for water toy storage. Sub Area: 21 Rowan – 8 High Rock Lk.